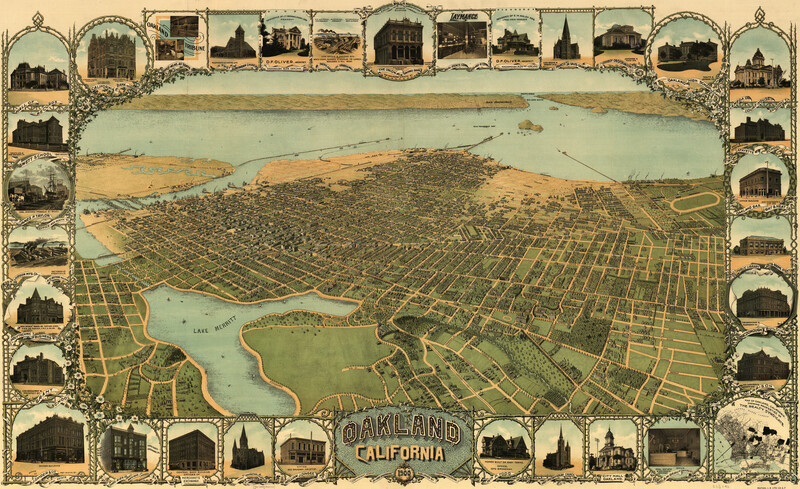 Fred Soderberg's birdseye map of Oakland, California from 1900. Birdseye Map of Oakland, Cal. This map isn't part of any series, but we have other Bay Area maps that you might want to check out. Soderberg is credited with this birdseye of Oakland [gmap], California, but with this piece being so reminiscent of many other Britton & Rey pieces, I'm beginning to suspect some uncredited, or partially-credited house artist is responsible for many of them. I've not spent any amount of time in Oakland, but I feel a notional kinship with it based on my perception of a few similarities with my hometown of St. Louis; no doubt many very slight. I'm not looking to move any time soon, but I've always had a list in the back of my mind of a handful of U.S. cities that I'd like to live in for a while. Oakland is definitely on this list (as is Cleveland, and a few others, I realize that I'm betraying my age demographic with these choices, and that I should pick Portland, Oregon [no disrespect intended to Portland, by the way, which is a fine city in its own right].). 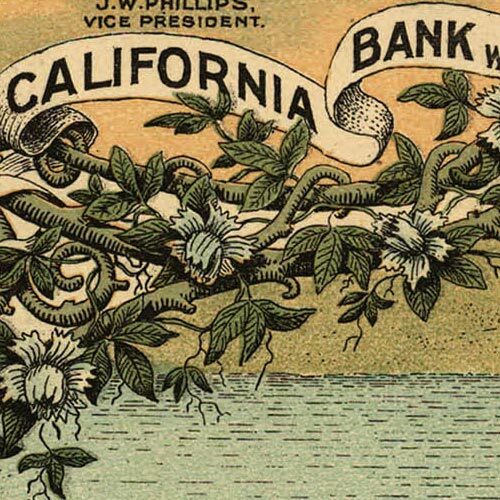 For more maps and images from this period in Oakland's history, visit the California Historical Society. I’ve lived in Cleveland and Oakland. Nanner Nanner.